Does our Sun have a twin at birth 4.5 billion years ago? Almost certainly the answer is yes, although not identical twins. The latest hypothesis shows that almost all stars have 'twin siblings'. Similarly, other stars such as the Sun in the Universe, astronomers from UC Berkeley analyzed the mathematical model for the hypothesis. The result, they found the behavior patterns of two stars that are close together in the past. Many stars have friends, including our closest neighbor Alpha Centauri, which is a triple star system. Astronomers have long sought explanations. Are binary and triple star systems born like that? Does one star catch the other? 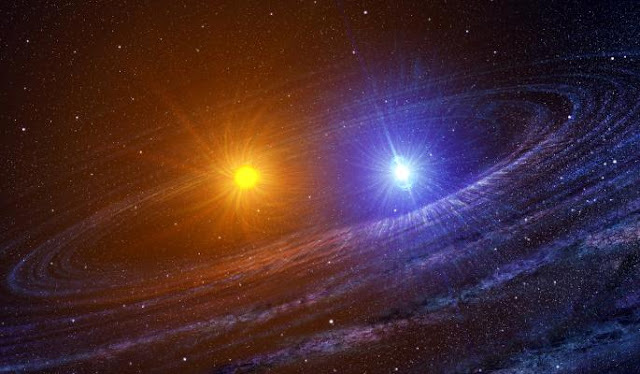 Does binary stars sometimes split up and become single stars? Astronomers have even searched for our Sun's companion, a star dubbed Nemesis allegedly causing asteroids to collide with the Earth and destroy the dinosaurs, which until now have never been found. Researchers began by examining Perseus cosmic clouds about 600 light-years from Earth to record single stars and twin stars. With that data, they managed to collect 19 multiple star systems and 45 single-star systems. This new statement is based on a massive molecular cloud-based radio survey filled with newly formed stars in the constellation Perseus, and a mathematical model that could explain Perseus's observations only if all the Sun-like stars were born with a companion. "We say, yes, maybe there used to be Nemesis, a long time ago," said Steven Stahler who co-authored the study with Sadavoy. Nemesis is the nickname for the twin of the Sun in the Solar System. This one star is called responsible for the extinction of the dinosaurs. Nemesis allegedly often catapulted asteroids to the Earth every 26 million years. 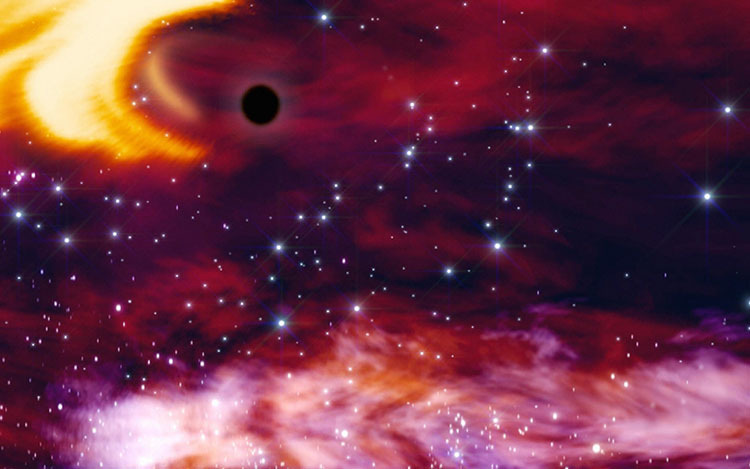 But the theory fades because astronomers in the 1980s failed to detect its former existence. "We run a series of statistical models to see if we can explain the relative populations of young single stars and binary stars from all the separations in the molecular clouds of Perseus, and the only model that can reproduce data is one in which all stars formed initially as binary star systems-wide. "This system then shrinks or crumbles in a million years." The results are quite surprising for researchers. Known a double-star system that lies both stars far apart, a younger age that is under 500 thousand years. While in the double-star system, the older sun's age is about 500 thousand to 1 million years old. But the distance between the sun in this system is closer to 200 AU (equivalent to the distance of the Earth to the Sun or about 149.6 million kilometers). "It has never been seen or tested, and is very interesting," said Sarah Sadavoy who wrote this research as quoted from Berkeley News. Sadavoy refuses to regard these findings as random. He believes there is a connection between the distance of the star and his age. After going through a series of simulations, the research team found the answer to the mystery. According to them the only possibility is that all stars are born 'twins'. Stahler and Sadavoy posted their findings in April on the arXiv server. Their paper has been accepted for publication in Monthly Notices of the Royal Astronomical Society. Astronomers have speculated on the origins of binary star systems and single star systems for hundreds of years, and in recent years have created computer simulations of collapsing gas masses to understand how they condense in gravity and then become stars. They have also simulated the interaction of many young stars who have just gotten out of their gas clouds. A few years ago, one of the computer simulations by Pavel Kroupa of the University of Bonn made him conclude that all stars are born binary. But direct evidence from observations is extremely rare. As astronomers look at younger stars, they find the possibility of a binary-born star, but it remains a mystery. "The key is previous no one has seen a real young star relationship with a cloud that spawned them in a systematic way," said Stahler. "Our work is a step forward in understanding how binary stars are formed as well as the roles they play in the early evolution of the Universe.We now believe that most stars, very similar to our own Sun, are formed in pairs.I think we have the strongest evidence to date this is such a statement. " According to Stahler, in a few decades astronomers believe that stars are born in an egg-shaped cocoon called Solid Core, sprinkled throughout the cold and molecular hydrogen clouds that are nurseries for young stars. Through optical telescopes, these clouds look like holes in the starry sky, because the dust that accompanies the gas block is lit from both stars that form inside and behind the star. However, these clouds can be investigated by radio telescopes, because the cold dust inside them emits these radio waves, and radio waves are not blocked by dust. The cloud molecules of Perseus are one of those nursery stars. Last year, a team of astronomers completed a survey using the VLA / Very Large Array to collect data variables that have the same data type and are declared with the same name. The array is an important concept in programming because it allows to store data and object reference in large quantities and indexed. Very Large Array is located in New Mexico to see star formation in the cloud. The observation is named VANDAM which is the first complete survey of all young stars in molecular clouds, that is, stars less than 4 million years old, including single stars and double stars up to a radius of separation around 15 astronomical units. The observations include all the double stars with a separation of more than the Uranus or 19 AU orbital radius in our Solar System. Stahler heard about the survey after approaching Sadavoy, a member of the VANDAM team and asked his help to observe the young star inside a solid core. The VANDAM survey resulted in the calculations of all the Class 0 Stars, which are less than 500,000 years old and Class I stars, between about 500,000 and 1 million years old. Stars classified as Class 0 and Class I are so young that they can not yet burn hydrogen to generate energy. Sadavoy analyzed the results of VANDAM and combined it with additional observations that reveal the egg-shaped cocoon around the young star. These additional observations come from the Gould Belt Survey using SCUBA-2 at the James Clerk Maxwell Telescope located in Hawaii. The Gould Belt Survey is the European Space Agency's (ESA) astronomical scientific mission. Dedicated to studying the cold Universe by observing astronomy in the infrared and far-flung submillimeter spectrum of the electromagnetic spectrum. The Gould Belt is a key program when studying star formation with special instruments focused on the star-forming regions of the Gould Belt. Combining these two data sets, Sadavoy was able to produce a strong census of the binary and binary star system populations in Perseus, producing 55 young stars in 24 multiple star systems, all but five of them binaries and 45 single star systems. With this data, Sadavoy and Stahler also found that all separate binary star systems, those with stars separated by more than 500 AU are very young star systems, containing two stars of Class 0. This system also tends to align with the long axis solid core egg-shaped. The slightly older Class I binary stars are close together, separated by only about 200 AU, and show no tendency to align with the wick of the egg. "It has never been seen before or tested, and is very interesting," Sadavoy said. "We do not yet know what that means, but it's not random and there should be answers about how binary stars are far apart." Stahler and Sadavoy mathematically model various scenarios to explain the distribution of these binary stars, assuming the typical formation, that is when binary stars part and when their orbits shrink. They conclude that the only way to explain the observations is to assume that all the stars around the sun start from the broad Class 0 binaries in the dense core of the egg-shaped, after which 60 percent split from time to time. The rest shrink to form a tight binary. "At the time the eggs crack, the densest part of the egg will go to the middle, and form two concentrations of density along the central axis," he said. "These high-density centers at some point collapse on themselves because of their self-gravity to form a Class 0 star." "In our photo, a single low star, a star like the Sun, is not an ancient (young) star" added Stahler. "They are the result of binary separation." Their theory implies that on every solid core, which usually has mass several times the mass of the Sun, converts twice as many molecules into a star as previously thought. Stahler said he has asked radio astronomers to compare the solid core with the young star embedded in it for more than 20 years, to test the theory of binary star formation. New data and models are the beginning, he says, but there is still much work to be done to understand the theoretical physics behind the formation of the binary star. "Such a study is likely to follow soon, as the current enhanced VLA capabilities and ALMA telescopes in Chile, plus the SCUBA-2 survey in Hawaii, finally provide us with the data and statistics we need.This study will change our understanding of solid core and stars embedded in them, "Sadavoy said. Please leave an up-vote if you find this comment usefull. Congratulations! This post has been upvoted from the communal account, @minnowsupport, by whalhesa from the Minnow Support Project. It's a witness project run by aggroed, ausbitbank, teamsteem, theprophet0, someguy123, neoxian, followbtcnews, and netuoso. The goal is to help Steemit grow by supporting Minnows. Please find us at the Peace, Abundance, and Liberty Network (PALnet) Discord Channel. It's a completely public and open space to all members of the Steemit community who voluntarily choose to be there.